For us, glasses are not merely a wearable item that helps see – they are also the feelings that are expressed and perceived every day. Glasses made with a view to accurately count the money can be bought at any pharmacy or a large, impersonal optics store. 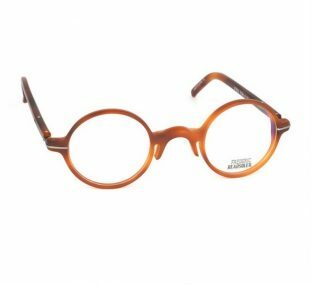 At our place, you will be introduced to small eyeglass manufacturers from Scandinavia, Germany, France, Italy and Japan, which make their collections in very limited volumes, sculpting their glasses in small workshops using only manual handiwork. LONIJA optical studio arose from adversity in our personal life – when Lonija’s third son named GUSTS, the younger brother of Jānis and Mārtiņš came into the world, the doctors’ conclusion was grim: “Your child will have a visual impairment”. This is how the long path of our family started. At that time, we could not buy good glasses, and Lonija didn’t want her child to wear terrible and thick plastic frames. Lonija acquired a degree in Physics and Mathematics and didn’t plan on becoming an optician and eyewear stylist; she came to this industry accidentally, after considering the potential to develop, grow professionally and explore the capabilities of optics. We believe that if a customer’s needs are understood and the appropriate eyeglass frames are correctly chosen, then a customer, even with the highest dioptres, will feel like a wholesome man rather than as a sight-impaired person. We have manufactured glasses for a customer with -26 dioptres, and he was truly moved since the new glasses opened to him a completely different world. We have visited many places in the world and seen the intimate approach with which glasses are sold: sellers seat a customer at a table away from the eyes of others, talk to him, bring glasses and let him try them on quietly. This is our comprehension of how this should happen. It is impossible to choose glasses if a man is wearing a coat, a scarf around his neck, and holding a mobile phone with an umbrella in his hands. Every day, several lives are lived in the studio since we listen to many life stories during meetings with customers, including their problems. However, any customer in the studio must feel welcome as our only and most important client. Some customers schedule their visit in advance, and certainly no one will disturb our conversation with them. Choosing glasses is a very intimate process, and a customer must feel comfortable. Once a client dozed off on our couch, and we let him get enough sleep. It is a good sign – here people feel calm and comfortable. Gusts has a very heavy visual impairment: -10 and -12 dioptres. We have never shown him sympathy. If glasses are created by a professional, then even large dioptre lenses should not be as thick as the bottom of a bottle as it was in the past, when visually impaired people used to wear thick lenses and felt very ashamed of their glasses. We have grown in terms of optical capabilities. The studio employs highly professional optometrists who prescribe the most appropriate glasses for each customer. Here, in the studio, Gusts also selected and ordered the most appropriate glasses for different occasions. Gusts has very high-quality lenses and good, functional glasses – colourful, beautiful and modern, just as he likes. No one says that Gusts is visually impaired, and he doesn’t feel like that. Gusts is grown now and studies construction engineering in Odense, Denmark, exercises and climbs in the mountains. He studies, misses his home, but he enjoys his life. He realised what Latvia really meant for him only after he had left his home. We have no doubt that the beloved son and brother will return to Latvia and pursue his profession. We like to work with people, to explore and find solutions to their problems, to help them. We don’t forget that we are working with visually impaired people – that is what we’re teaching our new colleagues: to offer exactly what is best for each individual problem. We like to meet our customers already at the door when they are entering the studio, as first eye contact is important. For customers, it is often more important to talk about glasses, to be heard. In this conversation we try to figure out what each customer needs. To enable us to make the most appropriate glasses, one must tell a lot about oneself. It is important to know for what kind of work and purpose the particular glasses are required. The experience that we have gained in this area has given us the understanding of which office glasses are good and which are required for a fitter who works with circuit boards, in which each wire should be fitted exactly in the right place. People with severe visual impairments also come to us. We have produced glasses with -26 dioptres. It is almost blindness. We made joint efforts, consulted with professors and produced good glasses. The man was grateful, but after a short time he returned very upset: “The glasses have broken!” In the dark, he ran into a tree and broke them. The larger the negative dioptres, the stronger the myopia is – a man cannot see anything at all in the dark. We made him new glasses. This is a team effort and our team is excellent. We are pleased when after some time people come, say thank you, tell that the glasses have served them well and want to buy other glasses. Foreigners return, once they have ordered glasses from us. We have a great responsibility to every customer and a special responsibility to rural people. The good energy which we share with each other strengthens and inspires us. Good words motivate us very much. This is why we enjoy our work. In a way, we must also be psychologists. Men are often embarrassed to admit that they have bad sight. During the conversation, the customer gradually confides and tells about his anxieties. For us, this is not just work or business that we create. It arose from the desire to help people, and it became our heart’s work, but each heart’s work brings a blessing. People remember us and we remember them. The link remains tight and it appears that we do what is required of us, whatever our mission is. long-desired and always sets the record straight. 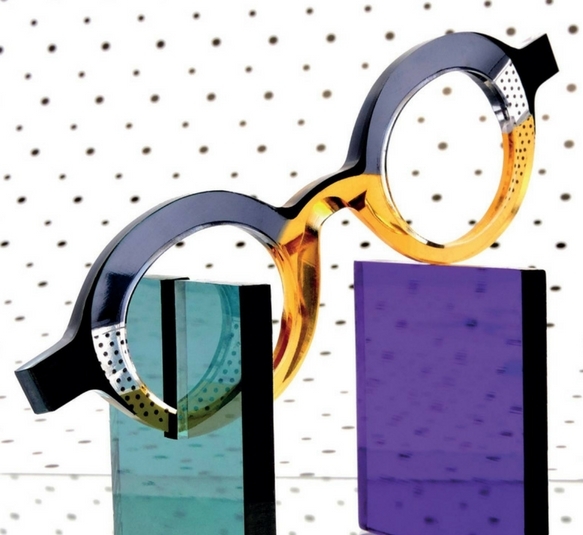 Frédéric Beausoleil established his own business because he unable to find someone who could produce the spectacle designs that would meet his expectations. Having founded a company of only two persons, this French designer created his own factory 20 years ago. Now the name Frédéric Beausoleil is a luxury brand – spotless and neo-classic. As he himself said, “this brand is for rich people who do not want to look rich”. That is probably why this brand is preferred by Robert De Niro, Julia Roberts, Robert Redford and so many of us. 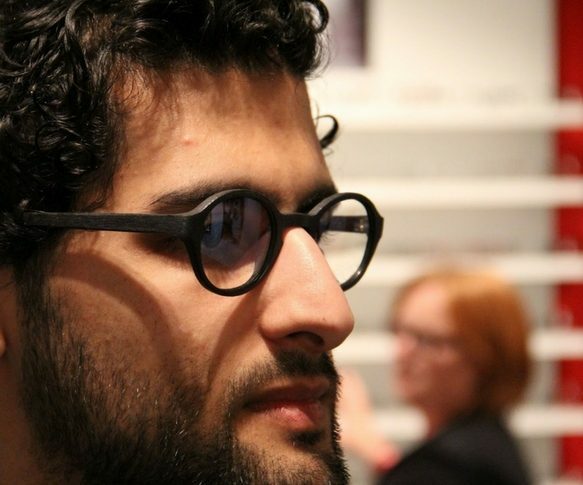 The Leight name is well-known in the world of optics – Larry Leight is the founder of legendary brand Oliver Peoples. But that is another story. 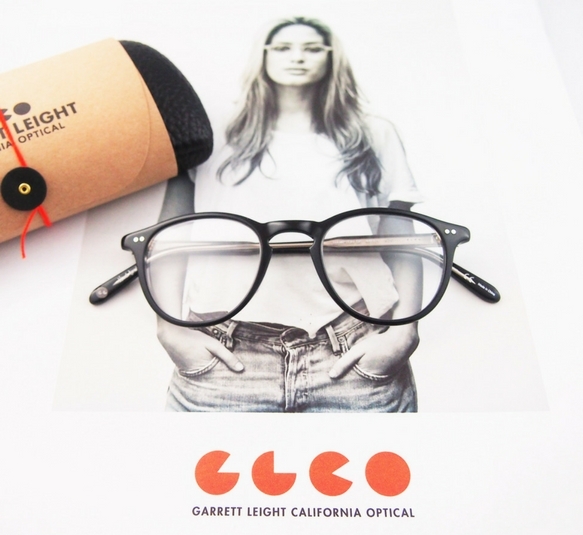 Garrett Leight is Larry Leight’s son, who started developing his own brand a couple of years ago. Currently, it is widely known for its unique identity. 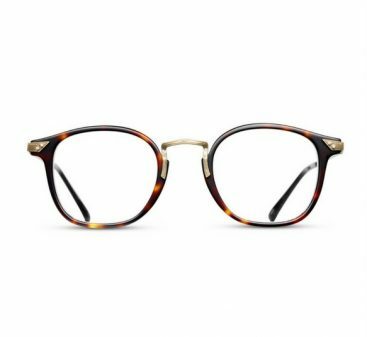 The goal and vision Garrett Leight California Optical wants to provide its customers is the opportunity to complement their own style and image rather than create it from scratch. 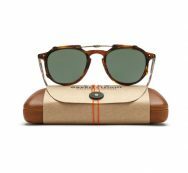 This brand is devoid of pageantry and pretentiousness – Garrett Leight prefers classic, vintage style, making play of it in his individual manner and applying his perception and understanding of what glasses should be like. The brand produces glasses for people who already have their own style, are distinguished by their personality and want to be invisible when they carry garish brands with logos on the sides. This is why Garrett doesn’t highlight the logo – spectacle frames and sunglasses don’t bear the logo at all; it is seen on the spectacle temples only from the inside. In a world living in a rush, MATSUDA has chosen to anchor itself in traditional crafts and deliberate performance. The production process starts with the best materials and ends with forms that will be admired forever. The Japanese crafts with their unique heritage, combined with the traditional crafts and innovative technologies are clearly visible in every MATSUDA product. Each finished piece is an object of art – enjoyable for both the hands and eyes. 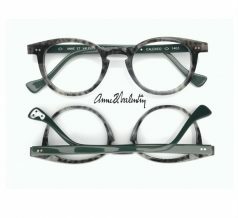 The name of the French independent eyewear brand – Anne & Valentin – includes all the brand’s essence: the union of two kindred souls! This love story has changed not only the lives of Anne and Valentin but also the wide world of optics. The technology that highlights and makes Anne & Valentin very special lies in frames and sunglasses from several collections made as sculptures cut from a solid piece of material. The brand is produced in only two countries in the world – France and Japan. 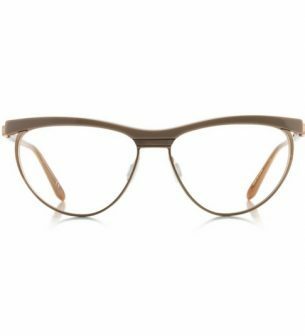 The best French factories specialise in high-quality acetate, while the Japanese factories use the world’s highest quality titanium. The products made by this brand are objects of art which are not and will never be intended for the mass market. These products are devoted to people who are able to evaluate them and are looking for something really special and original. Frames are selected not with respect to suiting the client or his face shape but rather fitting his personality, lifestyle, movements and feelings. Anne et Valentin collections are meant for people who have their own free will, are open to the world and themselves, draw inspiration from everything that they see around them, and most importantly – are not afraid to explore themselves throughout their lives. You can also find such brands as NIK03, Marni, Marc Jacobs, Fendi, Dior, Vivienne Westwood, Augusto Valentini, Gucci, Marc O’Polo and many other world-famous brands of frames and sunglasses. We’ll be happy if we can help You see the world as You see it in Your soul – forever young and timeless.